Before founding Aquazzura, Creative Director Edgardo Osorio learned about expert craftsmanship and attention to detail while working at Salvatore Ferragamo and Roberto Cavalli. 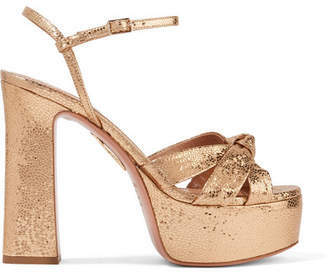 These 'Sundance' sandals have been made in Italy from metallic gold faux leather and set on a towering 150mm block heel and sturdy 40mm platform. 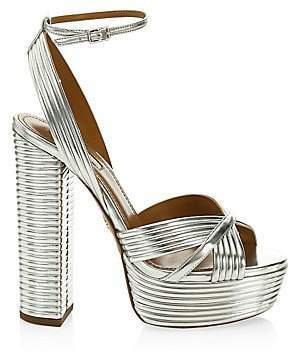 Wear them for evening with an equally glamorous outfit.